Spring and Summer brings some of life's greatest pleasures: backyard gatherings with friends and neighbors, warm evenings for relaxing outside, summer vacations for escaping the day-to-day stresses of life. And lawn mowing. Well, lawn mowing doesn't exactly fit in with life's greatest pleasures. In fact, you may find yourself enjoying life in the summer much, much more if you turn that job over to a professional lawn mowing service. By doing so, not only will you gain hours and hours of precious time this summer, but you'll also reap the following benefits. Homeowners generally pay close attention to the color and length of their lawn, but they may not have the training necessary for identifying lawn diseases. A professional lawn mowing service can proactively identify problems resulting from weeds, insects, and pests. When identified early, these problems can be easily treated, keeping your lawn healthy and beautiful. Many homeowners are lucky if their lawn mowers get serviced once a year, but a professional service uses lawn mowing and trimming equipment that is regularly serviced throughout the summer season. Clean and serviced equipment results in precision-cut grass every time. When grass is cut cleanly with well-maintained equipment, it doesn't experience unnecessary stress, which turns the tops of the grass blades brown. Stressed blades of grass are more prone to disease and pests, and they give your lawn a faded, worn-out appearance. Through the use of regularly maintained equipment and a clockwork mowing schedule, a professional lawn mowing service will keep your lawn at its optimal length. This is important because grass that is too long or too short will either dry out too quickly or hang on to too much water, resulting in root rot and bacterial diseases. Keeping your lawn at an optimal length not only makes your landscaping look beautiful, but it also keeps your grass healthy. Lawn hassles can overshadow your summer if you're not careful. Your edger needs its oil changed, your lawn mower blades rusted over the winter, a patch of weird-looking clover has settled into the side yard. When you turn your lawn maintenance over to the pros, you relinquish these hassles. 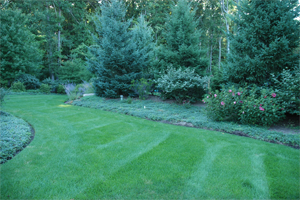 We have the tools, the skills, and the experience to take care of your lawn efficiently and professionally. To learn more about our professional lawn mowing services, contact us at Green Impressions. 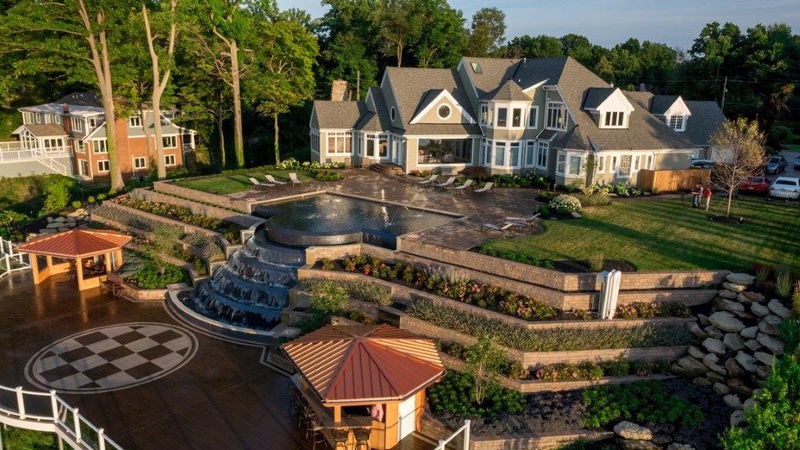 Our reliable landscape maintenance crews are pros at keeping your landscaping looking its best, and we're currently making our schedules for the summer season. Request a quote today. Select one of our lawn and landscape maintenance packages, and let us provide you with a Personal Landscape Care Analysis.